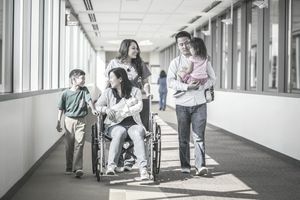 The Family Medical Leave Act, or FMLA as it’s often referred to, can be terribly complex and therefore many people do not take advantage of this important employee benefit. With the amount of misinformation that’s out there, it can be difficult to find the right answers. Here, we’ve compiled some of the top things that you may not know about FMLA, so you can be a more informed employee and take an approved leave when you need it the most. Is FMLA Paid Time Off? No, and yes. While the Family Medical Leave Act provides job-protected leave for a period of time for eligible employees, this time off may or may not be paid by the employer. This all depends on if the employee is entitled to paid time off through their individual employers. For example, an employee may be eligible for 21 days of paid time off each year but has used 4 days of this for personal reasons. Therefore, the employee may use his or her remaining paid time off of 17 days (or 136 hours) during the time of the FMLA leave period. The remaining time off is unpaid, so the employee will need to have other resources during this time, such as an automatic savings account or a spouse’s income. During an approved FMLA period, your employer is not obligated to pay you wages but is required to continue all your other benefits, such as health insurance, retirement benefits, and profit sharing. Your job is protected and you are guaranteed that it (or an equal job) will be waiting for you when you return to work again. As stated above, you are eligible to use any earned paid time off during your FMLA leave, so you should be able to support yourself using other financial resources once the PTO ends. How Do I Become Eligible for FMLA? To get approved for an FMLA, first, your company must meet certain criteria, also known as a “ covered employer.” This means your employer must have at least 50 or more employees working within a 75-mile radius. So, even if your employer has 200 employees, but only 49 work at five brand offices separated by 75 miles or more, you could be turned down for an FMLA. However, most employers will still offer an FMLA, and there are state and county laws that can make you eligible. Second, you must also have worked at least 12 months (they don’t have to be consecutive), and for at least 1250 hours (around 24 hours per week). Note that you cannot count periods of unemployment of 7 years or more in between. Certain employees who work in aerospace and for public agencies and schools are required to work fewer hours to become eligible. How and When Do I Request an FMLA? It’s very important to notify your human resource department as soon as you know you need to use your FMLA benefit. In fact, you are required to provide at least a 30-day written notice to take an FMLA leave, or it may be refused by your employer. In the case of an unexpected event, like an accident or illness of a child or spouse, you may need to provide medical documentation to request this leave and get it approved. Your employer must give you an answer within five business days of your initial request for an FMLA leave. Is FMLA the Same as Short-Term Disability? No, while an FMLA is similar to taking time off for other reasons, it’s not the same as short-term disability. An FMLA is designed for the purposes of allowing an employee to care for the birth or adoption of a new child, a seriously ill spouse or family member, or a close family member who is an injured active military member. A short-term disability leave is designed to take care of a personal injury or illness of oneself for a medically approved period of time. How Long Can You Miss Work on an FMLA? Typically, the length of time that you may be eligible for an FMLA is up to 12 job-protected weeks, with some approved up to 18 weeks (for military personnel). But how long you decide to take an FMLA is up to you and your spouse if he or she also plans to take a leave. For example, a new father may decide to take 3 weeks off, while his wife takes the full 12 weeks off from work to recover after childbirth. Is FMLA Medical Leave Pay? Again, an FMLA is not designed as a way to recover from a medical need due to an injury or extended illness, nor is it a form of insurance. Medical leave pay is an employee benefit that is extended to some employees. If the injury or illness is as a result of some work event or accident, then the medical leave is generally covered under a workers’ compensation insurance claim process and could be for many weeks or months depending on the progress of recovery. Can Both Parents Take an FMLA? Yes, in most cases both. This all depends on if both parents’ employers are covered employers under FMLA law and if they have worked the required number of hours and months to qualify. For example, the new mom may work for a covered employer and have worked the required number of months and hours before requesting the FMLA. The dad may have worked for a covered employer, but since he just started his job 4 months ago, he cannot take the FMLA. If both parents are eligible, they should notify their employers and request the leave as soon as they know they need the time off. What Conditions Are Covered Under FMLA? An FMLA leave is intended for specific purposes when an employee needs to take an extended period of time off. These conditions include pregnancy or adoption of a new child, the placement of a child in adoption, the serious illness and medical care of a spouse, child, step-child, foster child, parent, or other legal dependents. The FMLA also covers close family members of in injured active duty military person, so a parent may take care of an adult child or an employee may care for a cousin. What Happens If I Cannot Come Back to Work from an FMLA? This is a concern that many have when it comes to an FMLA leave. Why? Because the recovery period or certain complications may extend beyond an approved 12 to 18 weeks of leave. While this is rare, employees must do their best to work this out with their employer as soon as they know they may need more time off. In some cases, an FMLA extension may be granted by an employer for a valid reason, or the employer may ask the employee to work at least part-time or from home during this time. Likewise, you can also come back to work sooner if you desire. What Agency Enforces FMLA If I Have a Problem? Sometimes, problems and questions come up when on an FMLA approved leave. The US Department of Labor is the government agency that enforces FMLA, therefore if you cannot get answers from your employer or if you believe you have been denied a leave but are eligible, you can contact your state division of this agency. Companies that fail to follow FMLA guidelines are subject to stiff fines and penalties. If you have more questions, you can download a free Employee’s Guide to FMLA as offered by the Department of Labor.